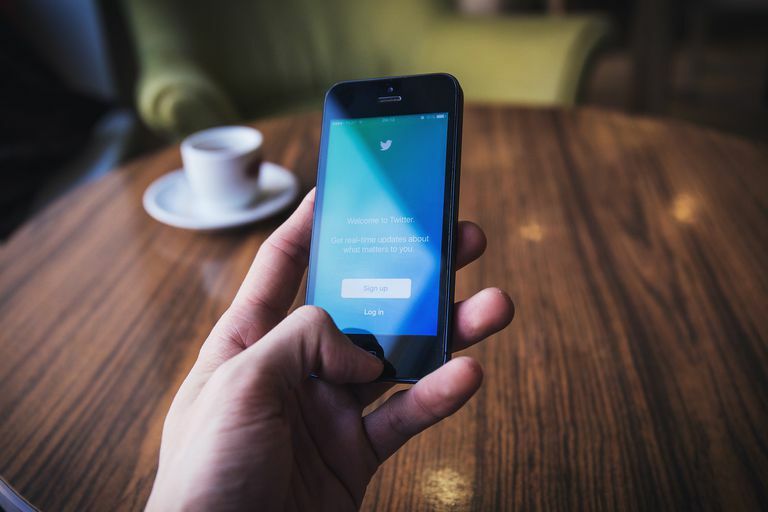 In early 2016, Twitter rolled out a new feature powered by the web's most popular GIF search engine (Giphy) and a popular GIF keyboard platform (Riffsy) to bring built-in GIF sharing to Twitter. Twitter had supported inline animated GIFs within users' feeds for some time already, but this new expansion to promote even more GIF sharing aims to make it even easier and more fun to tweet with animated images. You won't even have to leave Twitter to do it. Why Share GIFs on Twitter? Unlike videos, which you have to sit through to watch, GIFs get the point across silently, automatically and in a mere matter of seconds before looping back to the beginning. GIFs grab users' attention instantly, meaning that your tweets will stand out better and attract more interaction. Overall, GIFs are just really entertaining and fun to use on practically any social networking platform that supports them. Twitter's GIF sharing feature is available both on Twitter via a web browser and the Twitter mobile apps. The following images show GIF sharing on the app, but you can follow the exact same steps on the web. Tap or click the tweet composer button (marked by a quill/paper icon on the app and a Tweet button on the web) and look for the little GIF icon between the photo/video camera icon and the poll icon. Tap or click it. A new tab will appear in the tweet composer displaying a grid of labeled GIFs. These are categories that you can browse through to find the perfect GIF that matches exactly what you're trying to communicate. Tap or click on the category of your choice to see the GIFs contained in them. All of them animate right before your eyes, so you don't have to tap or click one to preview it first. If you can't find the perfect GIF by browsing through the categories, you can alternatively perform a specific search by typing in a keyword or phrase in the search field at the top. As an example, if you type "kittens" into the field and hit search, all the GIFs that have been tagged with that keyword will be shown in your results. You can then scroll through them and select the cute kitten GIF that you want to include in your tweet. Select Your GIF of Choice, Add a Caption and Tweet It! Tap or click on the GIF you want to use and it will automatically be inserted into your tweet. Note that adding a GIF won't affect your tweet character limit and you can always hit the X in the top right corner of the GIF to delete it if you change your mind. Add an optional caption by typing it in above the GIF and you're ready to tweet it out to your followers! Once it's been tweeted, it will show up inline on your profile feed and in the home feed of users who follow you to see your tweets. It would be great if Twitter brought some extra features that allowed users to favorite certain GIFs so you could easily find favorite GIFs or save them to use for later. You can do this with a regular user account on Giphy, but so far this hasn't been integrated with Twitter and there's no telling whether it will be added at any point in the future. You also can't insert more than one GIF per tweet using the GIF function. Although Twitter allows you to include up to four regular images in one tweet by using the image function, the GIF function is limited to just one.